Business usually starts with recognizing a gap in the market and a passion to help people by filling that gap. After creating prototype after prototype, pouring over the details of your business plan and haggling with vendors over the cost of the necessary materials, you definitely want to start seeing a profit. The good news is 75% of new businesses make through their first year and 69% make it to the two year mark. While these statistics do offer some comfort, why not better your odds with automated systems to take care of all the heavy lifting. Perhaps you’re not a new business but a small business looking to grow. Don’t think because you’ve already been around for years, you’ve reached your full potential. There is always a way to increase your profit and automating processes is one of the easiest ways to do so. It doesn’t make sense to grow your customer base if you aren’t managing it. How do you sell to someone when you have no idea who they are and what they want or need? If you are unfamiliar with the acronym CRM, it stands for Customer Relationship Management. A CRM system is a software program designed to assist business owners better serve their customers by helping store important customer information. CRM software allows the entire sales process from Lead to Customer Quotes and Purchasing to be seamless. It helps manage your business’ operations quickly and without human error. Then, it creates reports and dashboards you can use to better serve your customer. Find software that fits your business. Reach out to other small businesses that are similar to yours and ask them what program they are using. Read reviews and contact each company for details on what they offer before becoming a customer. Make sure to set measurable goals. This will help you see the difference CRM is making in your business. It will also help with the first step. These goals can be anything from increasing sales by 10% over the next 6 months to seeing x amount of returns on advertising campaigns. Choose a time to implement the CRM that does not interfere with business. Depending on the size of your business, this kind of software can take a significant amount of time to be fully integrated with your current systems. Try choosing a slower time of year (probably not holiday season) to integrate your CRM. Allow a testing period to work out any “bugs”. As beneficial as CRM is to making operations seamless, it does take time to get it right. Patience is key when it comes to perfecting the system for your needs. Paper processes and the costs associated with them can add up to a big waste of money for most businesses. Most of what you’d normally put on paper can be done electronically. From banking to invoicing, here’s how you can make the change. The first step in going paperless is to cut down on the incoming paper. But, how does this increase profits? Everyone has heard the maxim “Time is money” but you might be surprised to learn that you could be spending an hour of time each day sorting through bills and mail. That’s time you could be working to grow your customer base or create new products. Plus, as a bonus, it makes your business a little greener. It’s fairly simple to make the switch to online billing and banking. Usually during the process of securing a bank account, there is a box to check that says you’d like to receive paperless bills only. This is often the case for any other accounts you open. Next time you get a bill or statement in the mail, go online and login to your account. Under Account Settings or Account Preferences, navigate to the billing/statements section or tab. Select the paperless option. Some institutions have more detailed paperless options. You can choose what is communicated to you via email and what is not. If for some reason you can’t find where to do this online, don’t hesitate to call the company sending you the bill. Ask if the representative can enroll you and your business in paperless billing. Automating your payment process ensures you never get behind on bills, therefore avoiding late fees. It can also help you to build better relationships with your vendors since you are paying them on time, every time. If you ever find yourself in a cash crisis, these strengthened relationships can be very helpful. Finally, sending automatic electronic payments saves you time and headspace you can now invest in growing your business. After you’ve gone paperless with all or most of your accounts, you’ll want to have an automated invoicing system in place. Online bookkeeping software like QuickBooks, for example make getting paid an easier and faster process. When you use software instead of paper to invoice customers, the invoice is sent automatically. When the customer pays the balance, the system is updated once again. This means you’re not scrambling around at the end of the month sending out invoices, paying for postage and making small human errors that could cost you in the long run. With payments coming in more quickly than ever before, you can feel more confident when it comes to managing your cash flow needs. Because cash flow is king. Payroll can be met on time, bills (the ones that you automated earlier) can be paid without any overdraft fees and more importantly you, the business owner will have more time to focus on making improvements in other aspects of your growing business. Believe it or not electronic invoicing shows your customers, and potential customers how tech savvy you are. Customers like buying from businesses who have modern systems in place. Without the hassle of paper invoices and receipts, they are more likely to stick around and do business with you again. Establish payment terms for your customers so they know when you expect payment in full. Most use the a typical “Net 30” payment term, meaning payment is expected 30 days from the invoice date. The due date will automatically populate once terms have been established; one less step for you to complete. Be sure to include the invoice date (this will will populate to today’s date). The due date will be based upon the payment terms. You can change the due date, just keep in mind that payment terms are based upon the invoice date. For example, if you create an invoice on August 1st with net 30 terms, the customer should pay in full by August 31st. Your goal should be to send invoices out on the day you create them, so you can get paid faster. Now it’s time to enter the products or services you want to bill customers for. Click the products or service tab to enter information about the service you provided. If you don’t already have this information saved, then QuickBooks allows you to do this directly from the invoice. The information you enter about this service will affect the income account. This account will increase each time you sell the product. Tip: Apart from automating your invoicing system, it’s time to start accepting electronic payments. This will allow you to see your sales come through in real time. On top of this, electronic payments also offer your customers a great convenience and chances are they will be more willing to buy from you. In fact, a 2014 study showed that only 9% of people surveyed, preferred paying in cash. So far, you’ve ditched paper, implemented a CRM, integrated automated payments and invoicing. Now, it’s time to stop manually tracking inventory. Remember, increasing profitability doesn’t only mean cutting costs. It also means scaling your business and one of the best ways to improve scalability is to automate inventory. As your business grows, you won’t be able to keep track of the products you have in stock and analyze the data. By having a program actively monitor your inventory, you can save time and have confidence that as your business grows, your systems can actually grow with it. Re-ordering: Your inventory management system should allow you to easily restock the most popular items without having to think about it. Notice, we didn’t say all inventory items. You’ll want to use caution with this feature. 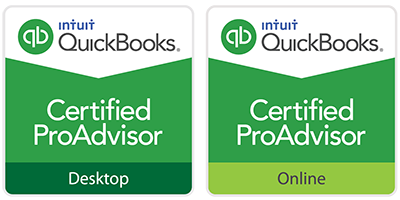 If you’re using QuickBooks for your online bookkeeping needs, the software will create purchase orders for your review when you are running low on certain items. This helps you to take the guess work out of managing your inventory. Integrations: The tool you select must be able to “talk to” your other systems especially your point of sale software for seamless integration. Real-time updates: Overall, your inventory management system should allow you to make the most informed decisions based on real-time updates. Conveniently, QuickBooks offers an inventory tool so you can invoice and manage inventory all in one place. Here’s what you’ll need in order to implement this kind of system successfully. Invest in a CRM tool so you can effectively manage all of your customers, boost sales and simplify operations. Go paperless to save on time, postage and fees. This is as simple as logging into each of your accounts and checking a box. It may require a phone call with a few of your accounts but the hassle of dealing with paperwork will free up time and money. Automate invoicing for improved cash flow and less error. Use an accounting system like QuickBooks to invoice customers instead of tracking down everything yourself. You’ll have more money to pay the bills, more time to spend on meaningful projects and happy customers who look forward to doing business with you. Automate inventory tracking so you always know what’s selling and what’s not. Hopefully, these tips provided you with a good starting point to use automation to help streamline your operations. However, even with automation, your business may be at a point where it makes sense to outsource particular functions such as your accounting needs. 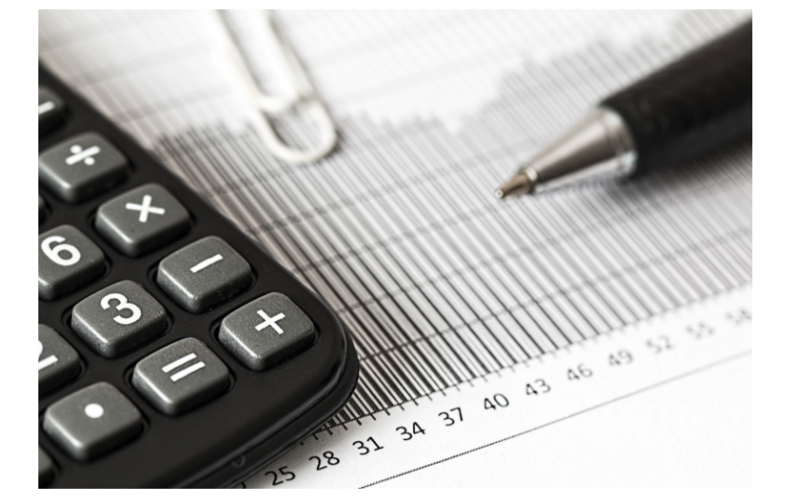 If you already have an in-house accountant managing your books, then you know that it can get pretty costly. However, outsourcing your accounting and bookkeeping to a firm like Ignite Spot saves you time and money, allowing you to focus on your core operations. With outsourced accounting from Ignite Spot, you won't have to worry about the principles of accounting; and things like payroll or cash flow forecast. All you have to worry about is growing your business. 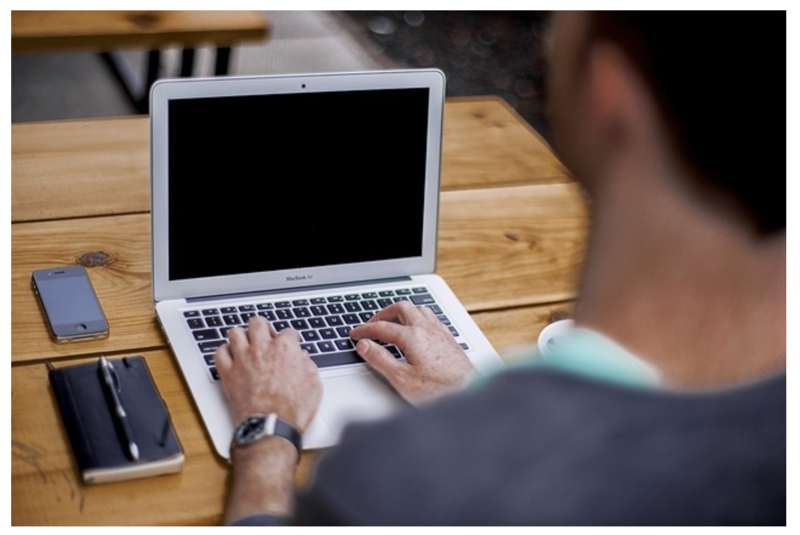 Contact our team to see how our online bookkeeping services can meet your needs.